The Chronicles of Narnia is one of the many classic series I’ve known about for most of my life but I’ve simply never read. My only experience with Narnia was watching the film adaptation released in 2005. I wanted to read the books then but I clearly got distracted. Actually, it’s probably more truthful to say that there’s always been other series I’ve wanted to read more and that still holds true a bit today. So why read it now? Quite simply, I was reviewing the series and authors I listed in my introductory post for The Blog Fantastic and I realized that I hadn’t really read too many books that I had listed. After reading the third volume of Robert Jordan’s The Wheel of Time I was ready for a break from 600+ pages fantasy novels. I wanted to read another fantasy book but I also wanted something slimmer. All this is a rambling way to say that it was the right time for me to pick up The Lion, the Witch and the Wardrobe and read my first Narnia book. My initial reaction is that it’s delightfully fun to read. My later reaction is that there isn’t much substance to the whole thing and. As the first published book in the series it serves more as an introduction to the world, some of the rules of magic (what Aslan says, goes) and the relationship the four Pevensie children have with the magical world of Narnia. That being said, it’s not bay book, far from it, but it’s clear that C.S. Lewis’s reputation and the reputation of the series are not founded solely on the merits of The Lion, the Witch and the Wardrobe. It can’t be because there just isn’t enough here for a sustained reflection on the story and how it relates to us, our world and (I’d be remiss not to mention it) Christianity. The main problem I have with the novel is the lack of consequences (there is one example where there is, but I’ll get to that later). Events happen one after another and there are few things that happen afterword to make the characters or the readers stop and assess or absorbed what’s just happened. Mostly it’s because little of what happens has any real impact on the overall story or the experience the children are having in Narnia. Aslan’s death is the most obvious example of this but there is also the question of the stone statues which are inhabitants of the land transformed to stone by the White Witch. All of the White Witch’s magic is cancelled out by Aslan’s magic. When Aslan returns the snow starts to melt and springtime moves across the land. The stone statues are given life again by Aslan. His death at the hands of the White Witch is also cancelled out by his nearly immediate resurrection. The lack of consequences takes away a lot of the threat of from the story. It also takes away some of the wonderment and the charm because it gives readers the impression that nothing “matters”. 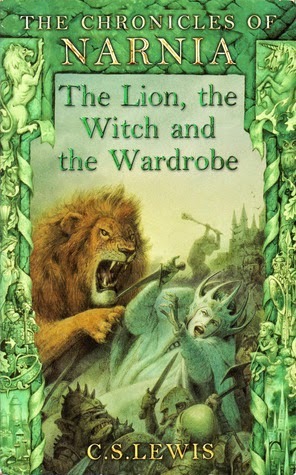 Narnia has few lessons to teach the Pevensie children and few lessons to teach readers, that is, unless you are willing to accept and internalize the story of The Lion, the Witch and the Wardrobe as Christian allegory. I posit that even if you do that, the story has nothing new to offer. Another glaring example of the lack of consequences happens in the last few pages. The Pevensies has just returned to the real world after decades ruling in Narnia. As soon as they step out of the wardrobe they are children once again. It’s unclear whether or not they retain the memory of their visit to the magical world. Furthermore, the Professor tells them they cannot go back to Narnia through the wardrobe. They can’t even go back and prove to themselves that it was real and not just something made up. I don’t know about you but that doesn’t give me much more enjoyment as a reader than the kinds of stories where everything was all just a dream. None of it mattered. Of course this would be different if they remembered the experience but I didn’t get the sense that they did. The fact that there are sequels (as well as prequels, from what I’ve read about the series) suggests that the four Pevensies do remember their time in Narnia so this might not be the best example of lack of consequences. Still, if you’re considering this volume on its own, it makes for a disappointing ending once you’ve considering what it means for the characters and the story. Despite what I’ve just written, I enjoyed myself a great deal while reading this book. I’m very fond of Lucy and I like her the most, I think. I also like some of the other inhabitants of Narnia such as Tumnus the faun and Mr. and Mrs. Beaver. I wanted to like Aslan but I didn’t. He’s pretty uninteresting and that might have to do a lot with my interpretation of him as the character that removes and nullifies all of the conflict of the book and in doing so takes away a lot of what made the story interesting before his arrival. While I liked a lot of characters none of them really had an arc. They were the same characters from beginning to end with the exception of Edmund who is the only one with a character arc. His mischievous and traitorous nature, as accentuated by the magical Turkish Delight, was one of the source of true conflict in the story both inside and outside of Narnia. His guilt and subsequent re-joining of the ranks with the siblings doesn’t fall in with all of the other “cancellations” of plot elements as listed above. While Edmund is given help by Lucy’s magic cordial in repenting his previous actions against his family and Narnia, he felt regret on his own long before the magic cordial broke the enchantment put on his by the Turkish Delight. The Lion, the Witch and the Wardrobe is a delightful book to read. I enjoyed Lewis’s writing style. I found it to be captivating, comforting and warm, like only British writers seem to be able to do well. It’s a simple writing style but it did the job. The main idea of the book is also intriguing. It’s one of the best things about the book. It’s just such a great idea that I can rather easily forgive my criticisms and recommend this book to fantasy enthusiasts, especially younger readers, because the reading experience really was fun. It’s intriguing to read about the Pevensies discovery of Narnia and their first adventure. It starts quickly and ends just as quickly which resulted in me wanting more. I’m very glad that there are six more books in the series because I’m really looking forward to reading about some more adventures. I’m looking forward to the exploration of the world that has just been introduced in this book. I hope that there is more internal logic and development of the characters, the world and how it all ties in together. 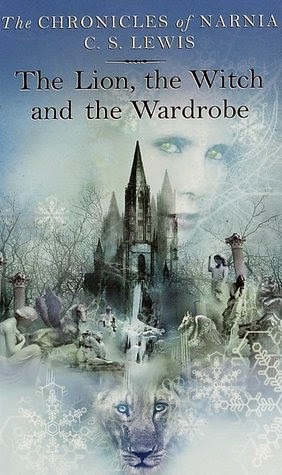 My edition of The Lion, the Witch and the Wardrobe was printed by Harper Trophy, a division of Harper Collins and it has a cover by Cliff Nielsen. His style of art, on this cover at least, is more photo and digital manipulation of images than what I would consider illustration. As such, this cover is kind of a montage or a collage of images. The composition is nice, we have a focus on Aslan at the bottom and the image is centered on a frozen waterfall which is surrounded by elements found in the story: the White Witch’s castle, stone statues, trees without leaves and snowflakes. Everything is given a blue and white hue which accurately portrays the winter setting of Narnia as it takes place in the story. The inclusion of a semi-transparent image of the White Witch gives the cover its much needed human presence (actually, she’s specifically not human as per the story). I’m not blow away by it, I actually do not like this style of illustration for covers, but it gets the job done and incorporates many elements of the story. It’s certainly a good cover even if it doesn’t appeal to me directly.